Christina Salesberry, a Hyde Park resident, was the runner up in the nut category of this year’s South Side Pie Challenge. She shared her recipe for “Black Bottom Pie, You Make the Rockin’ World Go Round” with the Weekly. This year was my first time competing in the South Side Pie Challenge. Usually, when my extended family gathers for the holidays, my aunt and I have a pie bake-off. It’s pretty cutthroat, with lots of trash talk and politicking to win favor with the various judges. Since I’m baking for family, I know their tastes pretty well and base my recipe on ingredients I know they’ll like. 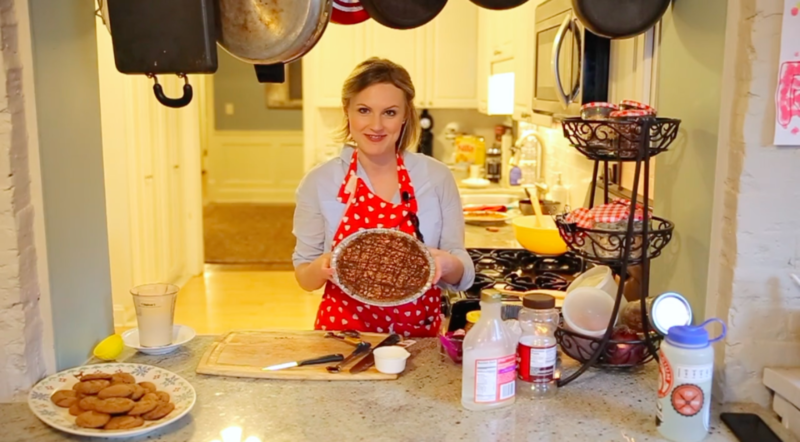 The South Side Pie Challenge allowed me to focus on my baking skills (instead of my baking-related insults) and develop a new recipe for a broader audience. My top suggestion for holiday baking is to select dessert recipes that can be made in advance of the big day. Cheesecake, black bottom pies, or pecan bars are great options because no one has the time or oven space for desserts when you’re roasting turkeys, mashing potatoes or broiling a mini-marshmallow yam dish for a hungry crowd. My “Black Bottom Pie, You Make the Rockin’ World Go Round” is based on a recipe by one of my favorite celebrity chefs, Marcus Samuelsson. I started with his recipe for a black bottom peanut pie first and started adjusting the proportions and bake times until I achieved the balance of flavors and consistency I wanted. It’s a great pie for the holiday season because the recipe yields two pies, and they’re actually better the day after you bake them. Pulse the wafer cookies, sugar, and vanilla caviar (insides of the vanilla bean) in a food processor until you get a crumb consistency. Add vanilla pod to butter and brown on the stovetop. It should take between 6 and 9 minutes. Swirl butter occasionally to melt and brown evenly. Discard vanilla pod. Add browned butter to cookie crumbs once it’s cooled to room temperature. Continue to pulse until mixture sticks together. Distribute evenly between two pie pans. Pressing into bottom and sides of pans. Bake for 12 minutes. Remove from oven when crusts reach a light brown and smell delicious. Let crusts cool to room temperature. Pour cream over chopped chocolate. Stir until shiny and smooth. Pour into crusts. Distribute evenly between your two pans. Let it cool for 10 to 20 minutes. Crank up the oven to 375 degrees. Wisk sugar, corn syrup, melted butter, molasses, salt, and eggs until smooth. Distribute evenly between two pies. Drop oven temperature to 325 degrees and continue baking for another 50 minutes. Let pies cool for at least 5 hours. Melt remaining 4 ounces of chocolate in the microwave. 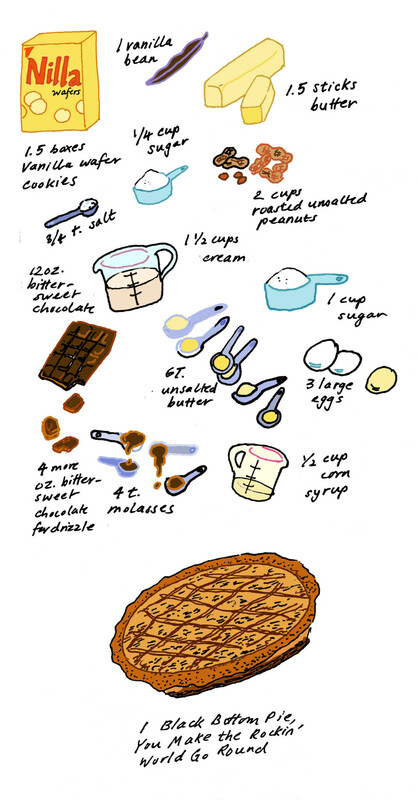 Delicately drizzle chocolate over pies.